Survey: Most Americans Tune Out Trump's Tweets - Joe.My.God. 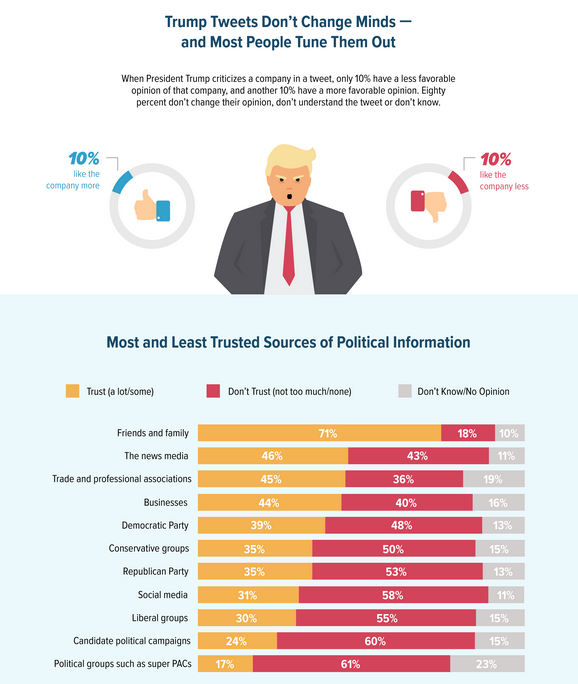 Most Americans say they tune out President Trump’s tweets, according to a new survey from the nonpartisan Public Affairs Council and Morning Consult. 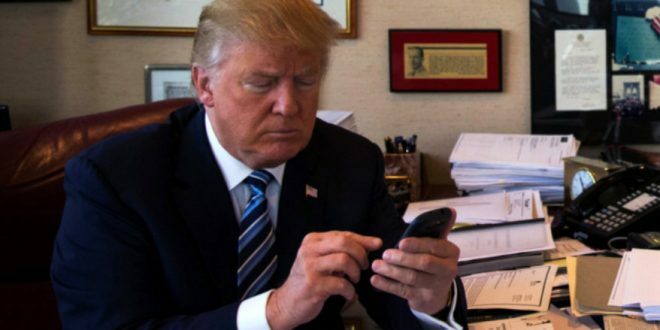 Nearly 6 in 10 respondents – 59 percent – said that they rarely or never read the president’s tweets, with only 15 percent of people saying they read them very often. Democrats tend to read Trump’s tweets more than others, with 46 percent of Democrats, 43 percent of Republicans and 36 percent of independents saying they read the tweets at least somewhat often, according to the annual survey.